VANKLEEK HILL, ON – Beau’s All Natural Brewing has announced details of the next in its ongoing series of seasonal gruits, an ancient style of herbal beer that the brewery has been instrumental in reviving in recent years. Four Flower Gruit pours light orange with a white foam and slight haze. The aroma is both floral and fruity with citrus notes. The flavour imparts malt sweetness and stone fruit notes. The finish is clean and crisp. 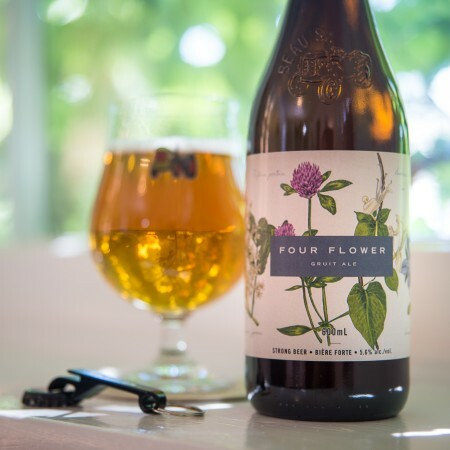 Four Flower will be available starting September 6th in 600 ml bottles at the Beau’s brewery store and BYBO delivery service, and select beer retailers on Ontario and Quebec.